FORT COLLINS, CO - 20 Jul, 2017 - Men’s grooming brand GIBS Grooming beefs up its menu for the product-hungry men’s market with the drop of its latest styling products, El Rey Styling Jam and Con Man Hair Pudding. The medium hold styling jam and ultra-hydrating hair pudding expand the brand’s styling line to eight, following the debut of its Hang Man Showerless Shampoo and Brawler Bantamweight Hairspray earlier this year. El Rey Styling Jam (7.5 ounces, $21) is a versatile mid-hold styling gel for tight and traditional styles with a breakable cast for every look, from classic and clean to unkempt and textured. Enriched with juniper, burdock root and lime extracts for healthy hair growth, oil balancing, antibacterial and nourishing benefits, El Rey boasts royally adventurous hints of leather, nutmeg and musk. It is a product, and a fragrance, fit for a king. Con Man Hair Pudding (7.5 ounces, $21) delivers heavy hydration with light hold, perfect for styling fine or textured hair. Loaded with guar, guarana and hydrogenated castor oil for intense moisture and replenishment, and burdock root and hibiscus for an antiseptic and antioxidant push, it’s peppered with warm notes of cardamom, petitgrain and oakmoss. Its best trick is that it doubles as a lightweight beard custard, leaving them so soft and smooth, they won’t know what hit them. 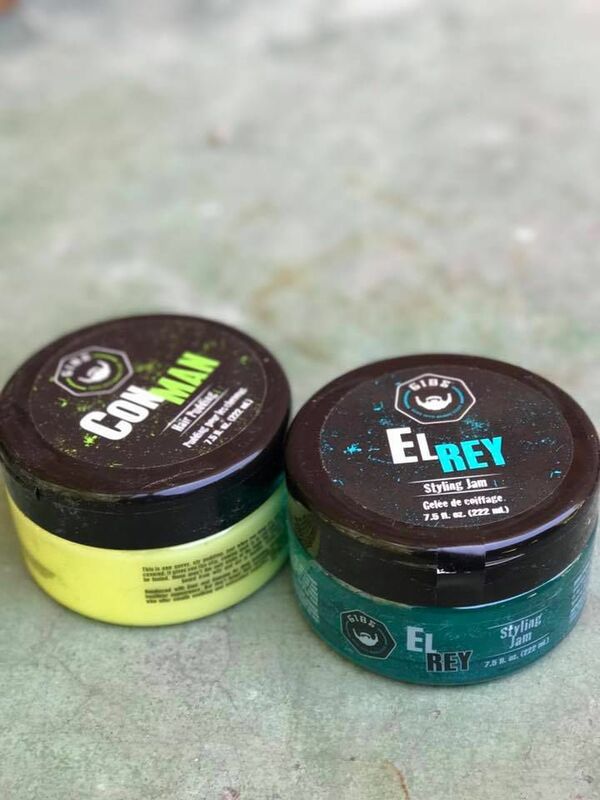 El Rey and Con Man are the third and fourth hair styling products dropped this year, after the duo launch of the brand’s “hand grenade” aerosols in January. The brand’s HitMan Texturizing Spray and Rico Bandito, OG Baller and Original Outlaw pomades are salon/barbershop best-sellers. Next up, the King and the Con, and they are bringing the heat. 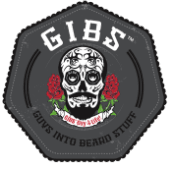 Brian “Gib” Long and Mike Howland, two meat-eating guys from Colorado and the founders of GIBS Grooming, introduced their original beard, hair and tattoo oil to the highly selective barber world in 2014. Crafting mutlit-purpose products for the guy on the go, GIBS Grooming rocks a full line of beard, hair and body products with signature high-scent/high performance without the high dollar price tag.